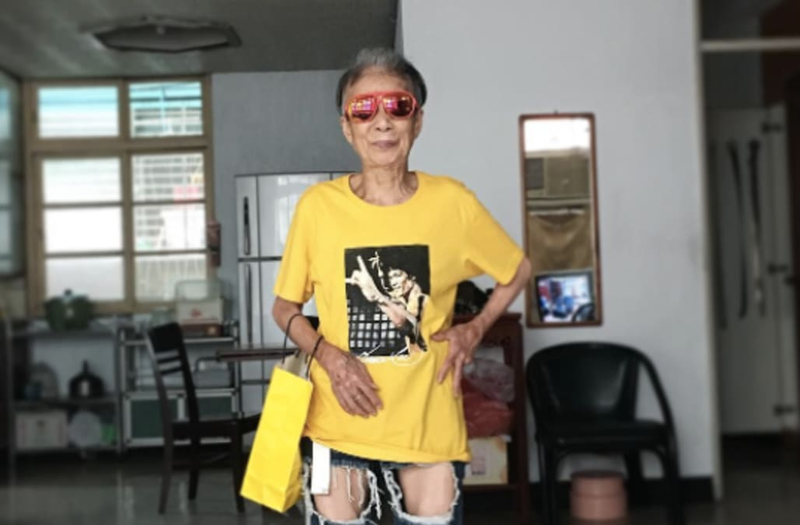 People can't get enough of this 88-year-old's on-point street style. She's living proof that at age 88, you can wear whatever, eat whatever and dance however you want. The Taiwanese woman, who goes by MoonLin0106 on Instagram, has garnered thousands upon thousands of social media followers. Regularly sharing photos of her Adidas tees, sunglasses, American sports jerseys and high-tops, she's amassed quite a following. She even shares photos of delicious-looking home-cooked meals, her travels and videos of her dancing. The adorable icon even puts our distressed jeans to shame. And while we don't really know the backstory of how she came to blog about her fashion journey, we do know that she's quite popular on Facebook as well. For her, style is a form of self-expression. "The good think about being 88 is that you can just wear what you want! No one can control me! I intend to try something new each day. Shall I get a tattoo tomorrow? Life begins at 88," she said, according to Metro. We can only hope to be that hip at that age.